When venturing into the great Aussie outdoors we seek out a taste of untouched nature and that brings with it interactions with the wildlife. We’re not talking about the ubiquitous flies or annoying mosquitoes, but things animals that crawl, walk or fly. Some are cute but others present dangers. In fact, many outsiders view Australia as hotbed of ferocious wildlife that cast us a malevolent eye. As locals, we know that’s an exaggeration (if you discount the snakes and crocodiles), but nonetheless a little care goes a long way. Snakes are found nation-wide and are an obvious danger especially in the warmer months. They can’t regulate their own body temperature and become dormant in winter when their metabolism slows down. In early spring they emerge to bask in the sun, on warm surfaces such as rocks or roadways or under warm materials such as sheets of galvanised iron or building material. In very hot weather they seek shelter out of the worst of the sun. 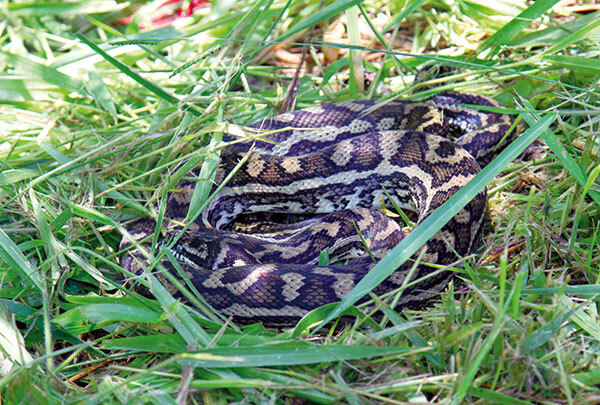 Snakes are significant to the environment, preying on pest animals such as rats and mice. The basic principle here is to avoid the dangers without hurting them in any way as they are protected. Never attempt to catch or kill a snake, as they will defend themselves, especially if cornered, and this is when most bites occur. Not all snakes are venomous but even non-venomous snakes will inflict a painful bite with their sharp teeth and are unlikely to be happy about being handled. When collecting firewood, make lots of noise as you go, which can frighten a snake away. Avoid thrusting your hand into a pile of wood, a hollow log or tree, under something like a sheet of bark, or into any holes or cracks in the ground. Finally, step on to rather than over a log or rock as snakes will often lie close to such protection. Wear above-the-ankle boots and loose fitting long pants of a colour that contrasts with the environment so that snakes can see you coming and you do not surprise them. Keep children and pets close to you in scrubby areas, especially in spring and summer when animals can be seeking mates or shelter and can be more aggressive than at other times. In tropical areas, ensure any tent at ground level is zipped up at night as some snakes will seek the warmth of a tent and/or its occupants at night and you might well awake to an unwelcome bed partner. The only animal in Australia likely to hunt you with a view to kill you is the saltwater or estuarine crocodile. 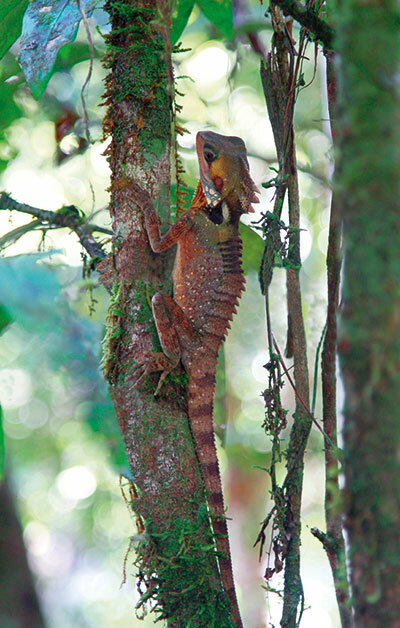 They can grow to seven metres and are skilled trackers and cunning hunters. Most attacks are fatal. 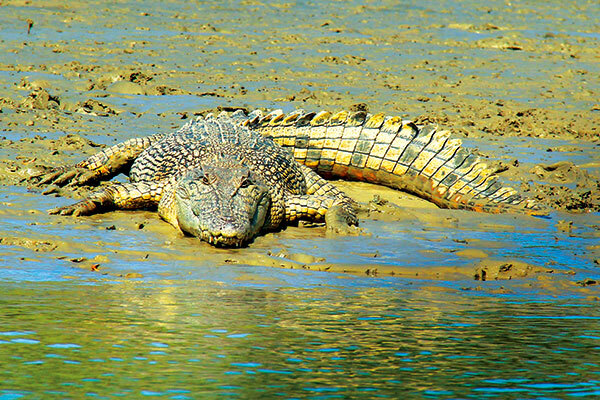 Estuarine crocodiles are found along Australia’s northern coast, and along streams and rivers to where they can no longer swim. Generally waterfalls and similar obstructions stop their inland travels. Since becoming a protected species in 1974, numbers have greatly increased, and they're repopulating in areas which were once their domain. Sightings around major towns and cities have increased greatly, including large centres like Cairns. If you're camping in crocodile country, avoid any potentially crocodile-infested waters. Camp further than 50 metres of any body of water connected to the sea and avoid returning to the same spot on or along a stream or beach at regular intervals. Never approach or tease a crocodile and avoiding boarding small and unstable boats. The smaller Johnstone or freshwater crocodile grows up to 4m and is not considered dangerous. They live in freshwater streams and billabongs in the tropics of WA, NT and Queensland and can co-exist with saltwater crocs in estuarine waters. If cornered or handled they may bite but will not freely attack you. The rule is simple: Leave them alone. Goannas of any species should be avoided in terms of approaching or handling them. They are common pests around popular camping areas in most parts of Australia, and can achieve considerable size, up to 2m in length. Goannas eat small animals and carrion but are generally reluctant to approach humans, unless they've been fed before. Keep small children and pets away from them, especially the larger types, such as perenties, and never attack nor attempt to handle them. Preliminary studies suggest goannas venom which may account for bites that are slow to heal. Keep food, especially strongly smelling meats such as pate, well covered and out of reach as they will make a dash into your circle, grab food and make a rush for safety, not something you want from a 2m reptile. 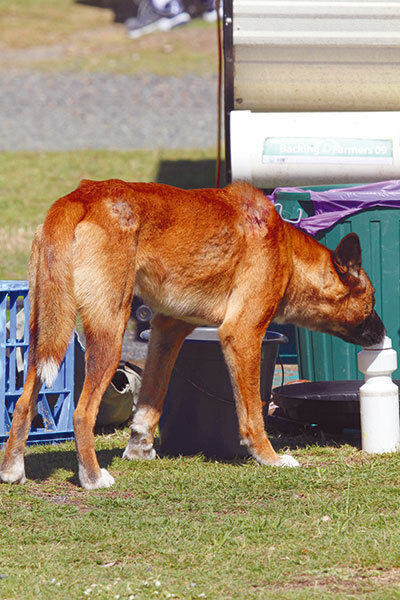 Dingoes will generally avoid human interactions, but if hungry they may approach campsites and display threatening behaviour. Never feed dingoes, which encourages aggression, keep an eye on small children and pets, do not run or jog when dingoes are about as it can incite aggressive behaviour, travel in groups, and never leave food or rubbish (like soiled nappies, tampons, food spills, etc) or other items with a strong smell (fishing tackle, boots and socks) openly, including in spare wheel bags or inside tents or on top of vehicles. Always clean up your campsite immediately after cooking and meals, before going to bed or if leaving it for the day. Close all vehicle and van doors. All these are precautions are for dingoes that are familiar with humas, but they also apply if a dingo is starving and desperate. Stand still at your full height and fold your arms across your chest, face the dingo and calmly back away, or stand back to back if you are with another person. Confidently call for help if the animal continues to appear threatening and wait until they have gone before continuing on your way. Do not run or wave your arms. 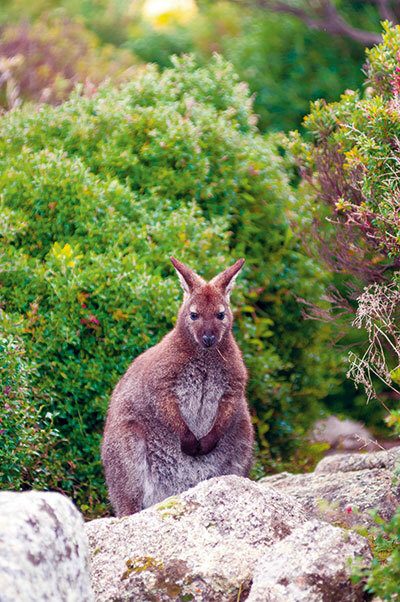 Kangaroos and wallabies are the most frequently struck large animals in Australia. They are often seen in the afternoon, at dusk or dawn feeding around the fringes of our cities and towns and so we expect that they will have a similar familiarity with us in the bush. This isn’t always the case. Kangaroos can be very large indeed, with powerful chests and tails and capable of giving a life threatening kick if they feel threatened in any way. Large males are used to maintaining dominance in their group and if you are perceived as a threat they can attack. 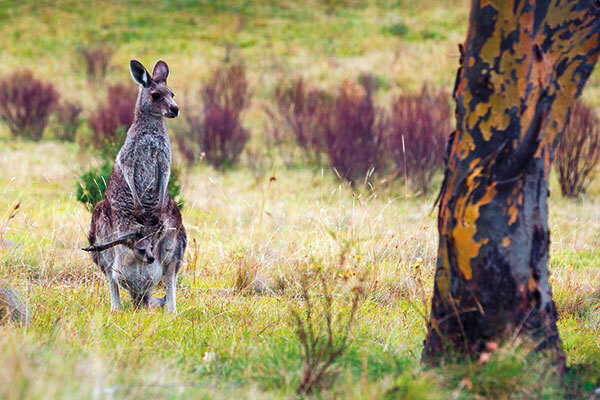 If attacked by a kangaroo, use a stick or similar object to keep the animal at a distance, or stay behind a fence or tree. Move away from the animal, but do not turn your back and run as it will easily outpace you and can attack with its hind legs while doing so. Turn side-on and use you arms to protect your face and body. A short, deep cough will signal to a male that you are not a threat, especially if you avoid eye contact and keep bent over. Australia’s many smaller furry marsupials – possums, bandicoots, marsupial mice, koalas, wombats – frequently interact with travellers. Possums are intelligent and quickly learn to use cunning and guile to extract food. Do not feed them, and ensure campsites are cleaned after eating and all food and rubbish locked out of reach. They will enter vans and campers seeking food, so keep doors shut. Possums are not aggressive but have very sharp claws and teeth if they feel threatened and can carry mites, ticks and transmit bacterial infections to humans. Wombats, likewise, are not generally threatening in their behaviour but will attack on occasion. They can move at up to 40km/h and will bite and claw. Those familiar with humans are generally benign but approach with care. The platypus is a very cautious animal and you are lucky if you get a glimpse of one in a stream in the early morning or late evening, but you are unlikely to get any closer. Its fellow monotreme, the echidna, however, is often found ambling through bushland. Its spines are not particularly sharp and it will simply either roll itself into a ball or attempt to dig into the ground if approached. Enjoy the encounter. 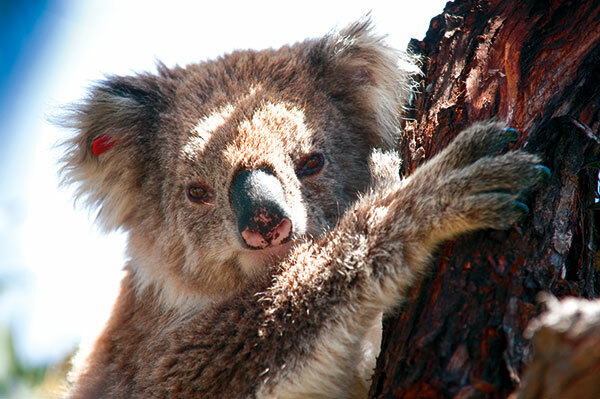 Koalas appear cute and cuddly but any attempt to handle them stresses the individual and they can be very aggressive, with very sharp claws, if provoked. Smaller marsupials, such as marsupial mice, bandicoots, spotted quolls, gliders and the like are generally nocturnal and very wary of human contact. If you are lucky enough to see them simply enjoy the opportunity but leave them alone.